With his death in 2014, eighteen-year-old Michael Brown’s name became synonymous with the growing Black Lives Matter movement and a nationwide debate about unarmed black men being fatally shot by law enforcement. Michael Brown Jr. was born on May 20, 1996, to Lesley McSpadden and Michael Brown Sr. in Florissant, Missouri. After his parents separated, Brown grew up living alternately with his mother, father, and paternal grandmother. Although he struggled early with his education, attending several different high schools, Brown recovered, graduated with his class in 2014, and planned to enroll in a trade school. On the afternoon of August 9 in the predominantly African American community of Ferguson, Missouri, a convenience store security video captured the six-foot-four Brown pushing a clerk into a display case as Brown stole a pack of cigars. Soon afterward, Brown and a friend were walking in the middle of the street when they encountered Darren Wilson, a white police officer, who ordered them onto the sidewalk. It is unclear if Wilson was aware of the convenience store robbery. Moments later, a physical altercation between Brown and Wilson ensued, resulting in Wilson shooting the unarmed Brown at least six times, twice in the head. Outrage in the community grew swiftly as Brown’s body remained face down in the street for four hours after the shooting. In addition, some eyewitness accounts at the scene described Brown as having his hands up when he was shot. The next day, angry residents peacefully protested in the streets using the phrase “Hands up, don’t shoot.” As the intensity of the unrest increased, Ferguson police were criticized for responding with heavy-handed tactics, including military-style equipment and weapons, which only served to further enrage the community. On August 11, the Federal Bureau of Investigation opened a civil rights inquiry into the death of Michael Brown. Meanwhile, violent protests continued, and after Missouri Governor Jay Nixon’s attempt to impose a curfew failed, he brought in the National Guard on August 18 to help restore order. As different accounts of the shooting began to emerge, United States Attorney General Eric Holder arrived in St. Louis on August 20, promising a complete inquiry. Soon the power of social media had transformed what had begun as a local issue into a national one as numerous protesters and high-profile activists from around the country arrived in Ferguson. 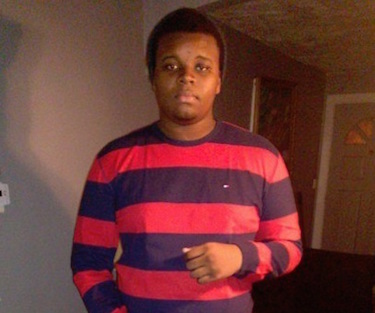 Michael Brown Jr.’s funeral was held on August 25. On September 3, the U.S. Department of Justice began an inquiry into the Ferguson Police Department, and on September 25, Chief Thomas Jackson publicly apologized to the Brown family. Protests in and around the Ferguson/St. Louis area continued into October, and tensions began to rise as a grand jury was convened to decide whether or not to indict Officer Wilson. In mid-November, Governor Nixon again activated the Missouri National Guard in anticipation of the grand jury’s decision. On November 24, 2014, the grand jury, made up of nine whites and three blacks, decided not to indict Darren Wilson in the death of Michael Brown. The verdict sparked large-scale violent protests and destruction in Ferguson as well as demonstrations in dozens of cities across the United States, resulting in several hundred arrests nationwide. John Eligon, “Michael Brown Spent Last Weeks Grappling with Problems and Promise,” The New York Times, August 14, 2014, http://www.nytimes.com/2014/08/25/us/michael-brown-spent-last-weeks-grappling-with-lifes-mysteries.html?_r=0; “Tracking the Events in the wake of Michael Brown’s Shooting,” The New York Times, November 24, 2014. http://www.nytimes.com/interactive/2014/11/09/us/10ferguson-michael-brown-shooting-grand-jury-darren-wilson.html?_r=1#/#time354_10512; Ellen Wulfhost, Daniel Wallis, and Edward McAllister, “More than 400 arrested as Ferguson protests spread to other U.S. cities.” Reuters. November 26, 2014, http://www.reuters.com/article/us-usa-missouri-shooting-idUSKCN0J80PR20141126. arrested as Ferguson protests spread to other U.S. cities.” Reuters.